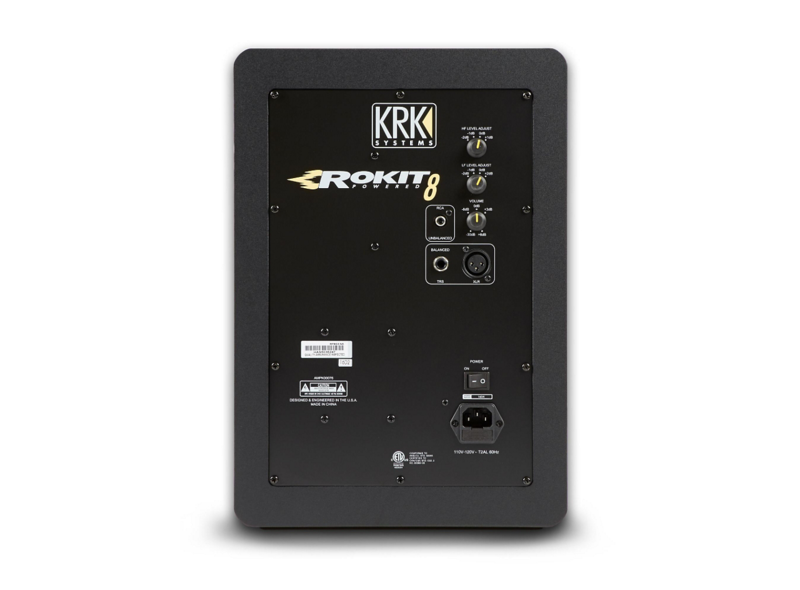 The KRK ROKIT 8” G3 is the third generation in the ROKIT series monitors. KRK has been making studio monitors since the 1980’s, but their ROKIT series started in the mid-2000’s. 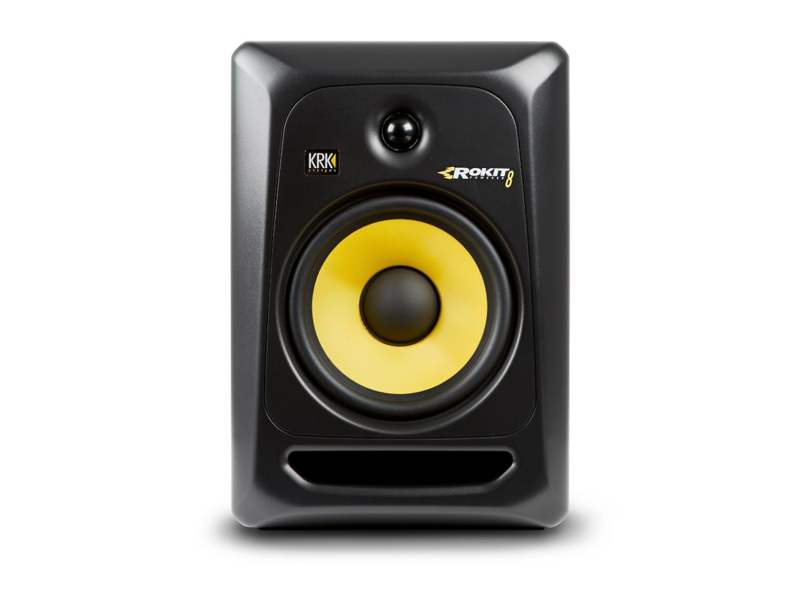 Their signature black and yellow design have drawn many new producers to quickly pick them as their studio monitors, but the ROKIT series is more than just a fancy design. The KRK ROKIT series aren't the most high-end monitors that cost thousands of dollars, but they’re also definitely not low-end monitors. These mid-range monitors offer a good sound quality at a great value. The first thing you’ll notice about these monitors is the 8 inch signature black and yellow Aramid glass composite speaker cone. Aramid is more commonly known as Kevlar, which makes the speaker cone very strong and heat resistant. At the top, you’ll see the 1” soft dome that are common on most studio monitors. The frequency response on these monitors ranges from 35 Hz to 35 KHz, so they offer a full range of sound that will be perfect for producers of all genres. On the bottom, there’s a slim foam pad that can help reduce vibration on your desk. I would still recommend getting a pair of monitor isolation pads to completely isolate your monitors and eliminate vibration. Depending on your studio space, the front port (the open space under the woofer) might be a benefit for you. Putting a rear-ported speaker against a wall will drastically change the sound coming from the speaker. If your space is limited and you need to put your speakers near the wall or a corner, the front port on the KRK ROKIT will help you get better sound from the speaker. The main weakness of the ROKIT 8 is that the sound can be a bit ‘boomy’ at times. The bass is slightly boosted, so it can be tough to do a final mixdown on these monitors. For the price, these are good mid-range studio monitors. If you’re a producer just starting out and have a limited budget, the KRK ROKITs will give you a great headstart to your music producing career. If you can afford an extra $100, I would recommend upgrading to higher end of the mid-range studio monitors.